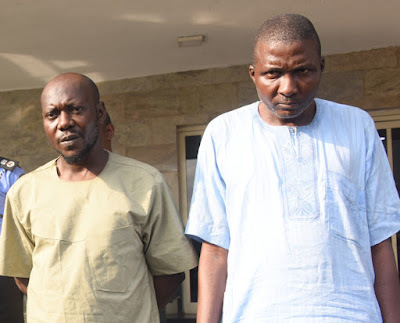 Alleged suspects, Baale of Shangisha, Chief Yusuf Ogundare (right), with his brother and accomplice, Mohammed Adams (left), being paraded during a press briefing at the Lagos House, Ikeja, on Thursday, July 13, 2017. 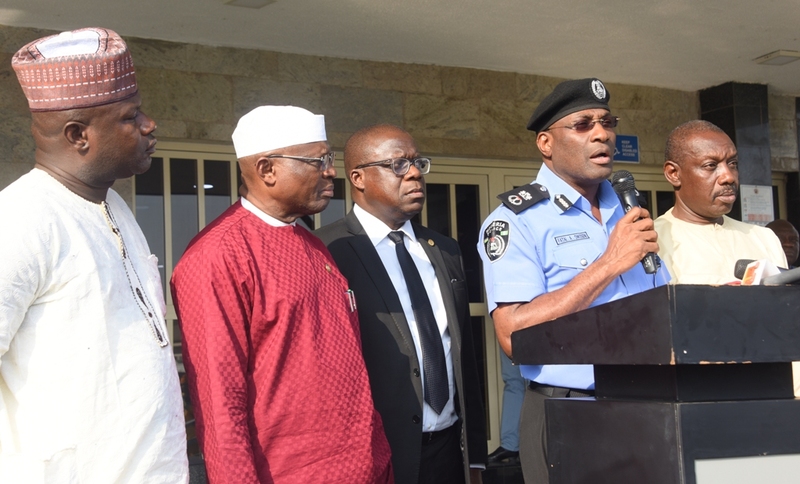 PIX 7457 R-L: Lagos State Commissioner of Police, Mr. Fatai Owoseni (2nd right), addressing journalists on the Alleged Fake Kidnap of Baale of Shangisha, Chief Yusuf Ogundare at the Lagos House, Ikeja, on Thursday, July 13, 2017. 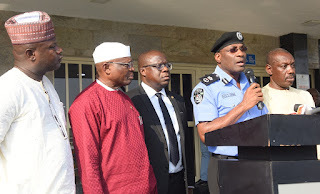 With him are Attorney General & Commissioner for Justice, Mr. Adeniji Kazeem (middle); his counterpart for Local Government & Community Affairs, Alhaji Muslim Folami (2nd left); Operative of DSS, Mr. Wale Odu (left) and representative of Director, DSS, Mr. Uche Okechukwu.